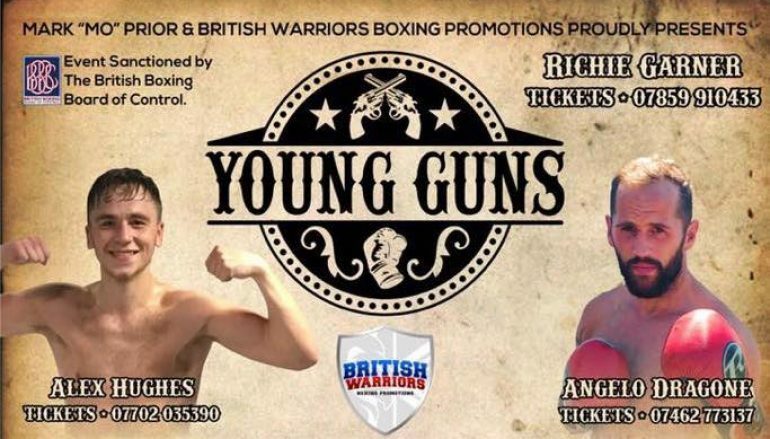 British Warriors return to Wales for a nine-bout show at the Llandarcy Academy of Sport. Carmarthen’s compact Angelo Dragone (2-0) worked his way to a well-earned decision win against Joe Beeden (2-59-1, 1KO), courtesy of a 40-36 scorecard. The compact lightweight pressed the action throughout, persuading Beeden to trade more often than he was comfortable with. Dragone forced the visitor’s guard to open and found the gaps with repeated short hooks to head and body, ensuring the ‘Italian Stallion’ always had the last say in the exchanges. For the second time in two weeks, Barry’s Maredudd Thomas (4-0, 2KO) exploded with a first round knockout victory. The super-lightweight needed less than three minutes to halt a game but outgunned Shane Medlen (1-1, 1KO). Thomas found his range in the opening exchange and a constant stream of power punches never let Medlan gain a foothold in the fight. Thomas ensured Medlan was always unsteady, initially with a right cross and then with uppercuts. He sent Medlan stumbling to the ropes and he soon touched down – it was at that stage that trial referee Chris Jones had seen enough. Cardiff’s David White Jnr (2-1) returned to winning ways with an energetic win against Russ Midgley (1-23-1, 1KO). Referee Sean Messer recorded a 40-36 scorecard in the same venue that White lost his unbeaten record in during the summer. The converted southpaw kept his distance when he needed to, before launching rapid three and four punch combinations to sting the stalking Midgley. White often doubled and trebled his jab to keep Midgley at bay but when the Englishman overreached, White leaped in with a lead left cross to constantly unnerve Midgely. 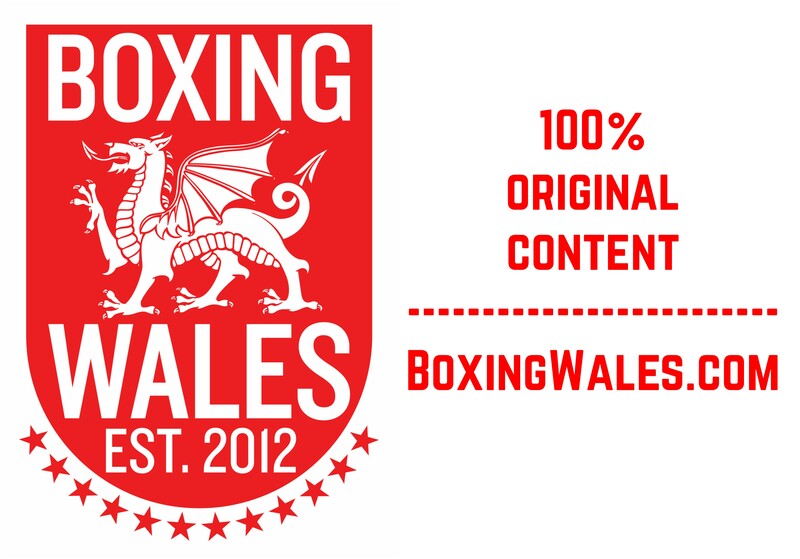 Cardiff’s ‘Baby’ Jacob Robinson (4-0, 2KO) continued his impressive start to the professional game and cruised to a comfortable win against Reynaldo Cajina (14-53-5, 10KO), collecting an unblemished 40-36 decision. The featherweight stalked from the opening bell and it never looked like he would be shifted from a front foot position. Cajina was caught with solid potshots when he stayed still for too long, so the visitor spent the majority of the contest in retreat. When Robinson finally faced some resistance in the fourth and final round, his southpaw stance and speedy footwork kept him a step ahead, allowing the MTK Global managed fighter opportunities to land classy counters. Swansea’s super-lightweight Jacob Lovell (1-0) made a perfect start to his professional career with a dominant40-36 decision win against Michael Mooney (8-54-2, 3KO). 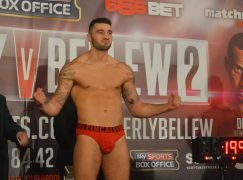 The 19-year-old, who is also managed by MTK Global, remained well-balanced as he constantly came forward. 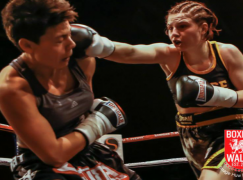 Lovell’s favoured shots were clearly a double left hook, swiftly delivered to head and body, which left Mooney wincing on several occasions in the early stages. The Youth Commonwealth Games medallist soon diversified his attack, frequently landing measured overhand rights. The constant pressure ensured Mooney was always uncomfortable and Lovell enjoyed the winning occasion, which is likely to become a regular occurrence. Newport’s Craig Woodruff (6-4, 2KO) ended four years of inactivity by controlling Naheem Chaudhry (1-32) over four rounds for a 40-36 decision win. For a long-limbed operator, Woodruff was comfortable and effective up-close, finding room around Chaudhry’s compact defence to score with whipping body punches. The Newport native would often duck low, before springing up with dynamic uppercuts and screw shots. Chaudhry became more blatant in trying to spoil the action as it came to a close, which led to stern warnings from referee Chris Jones. Woodruff appeared slightly frustrated but kept his qualities intact, still managing to land crisp counters between Chaudhry’s lunges. The former Welsh lightweight champion, now managed by Richie Garner, was often thrown in the deep end in his first chapter as a professional. If handled right, the six-footer could be built to a genuine contender for domestic honours. Rhoose’s Lance Cooksey (8-0, 1KO) overcame a terrible cut to get past a very crafty Jordan Ellison (10-19, 1KO) in a thrilling six rounder, which was strangely scored 60-57 to the unbeaten prospect. The Welshman was cut with the very first shot Ellison threw. A slashing right cross opened Cooksey’s left eye and appeared to be troubling his vision. The visitor measured several more and was very content by the end of the opener. Cooksey aimed to respond in the following rounds, launching quick flurries to curb Ellison’s ambition but the tactics were met with mixed success. Unable to completely get to grips with Ellison, Cooksey threw caution to the wind in the final rounds by ploughing forward. 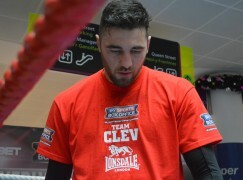 Ellison was pushed back to the edges of the ring and Cooksey’s sheer will power persuaded the scoring official to favour him. Ammanford’s Jake Anthony (4-0) was tested for the first time and he came through with flying colours. A 60-53 scorecard favoured the unbeaten Welshman, who banked six rounds for the first time in his 13 month career, against Liam Hunt (7-3-1, 1KO). The middleweight pressured behind a high guard in the opening round. Thudding straights pushed Hunt to the ropes and the Weston-super-Mare native found it hard to stay out of the way. Anthony’s momentum continued in the following round. A right hand halfway through the session buzzed Hunt and a body shot in the follow-up attack sent the visitor to his knees. It was one way traffic for the 20-year-old prospect but to Hunt’s credit, he remained defiant and bravely sucked up punishing waves of attack in the middle rounds. Anthony calmed in the closing rounds, taking a chance to circle the ring and Hunt seized pockets of success. However, Anthony remained the more impactful throughout. Managed by Richie Garner, Anthony is keen to contest the Welsh middleweight title in the near future. Maerdy’s Alex Hughes (11-0, 5KO) looked like he had never been away as he ran through Greg O’Neil (6-5, 1KO) in less than a round. It was the Welshman’s first fight for 19 months – an extended break that was caused by a severe eye injury that required surgery. Hughes, known as ‘Bad News’ and trained by Gary Lockett, settled quickly by landing sharp straight shots. O’Neil crouched over when the pair came close to each other and it was in that zone that he suffered the first breakthrough. A body shot was deemed low by referee Sean Messer and O’Neil was granted a two minute reprieve. However, it didn’t disrupt Hughes’ flow. The unbeaten contender stayed in the pocket, leaning away from O’Neil’s replies. Soon after, a sustained attack, capped with a left hook to the stomach, crumpled O’Neil to the canvas and he wasn’t able to recover. 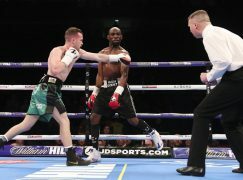 Hughes’ return was a welcome reminder of why many regard the 24-year-old as one of Welsh boxing’s brightest talents.